That funny looking symbol on my new business card is a QR code. Lately these little beasties have been cropping up on everything from T-shirts to magazine ads. 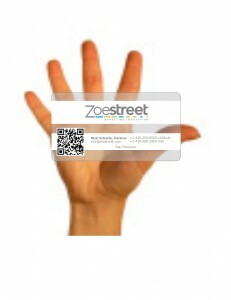 The QR (Quick Response) code is a two-dimensional bar code that can store contact info, URLs, even paragraphs of text. Although they were invented clear back in 1994, they were relegated to industrial applications until a new generation of consumer electronics made them practical for just about everything. Now that phones like the Android and iPhone have easy to use software for decoding them, QR codes are spawning a new generation of applications called “hardlinking” or “physical world hyperlinking” that make it easy for consumers to capture data from products, magazines, billboards and even each other’s phones. 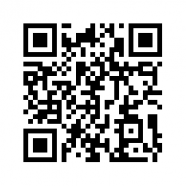 You can get your own QR codes to start pasting on stuff at the link below. NeoMedia Technologies grandfathered this technology back in the mid 90’s and have been doing mobile code scanning and comparison shopping via barcodes long before any other company in this space. NeoMedia has a rich patent portfolio that covers scanning barcodes with a camera enabled mobile device to connect to the Internet, comparison shop, and/or retrieve online content. Thanks for the QR code creator link!